This is truly a different way to discover Switzerland! Marvel at spectacular scenery from the first-class carriages of the Swiss train network. This is truly a different way to discover Switzerland. Marvel at the spectacular scenery from the first-class carriages of the Swiss train network, with rides on the GoldenPass Panoramic Train, the Glacier Express, the Bernina Express, and the Gornergrat open-air cogwheel train. 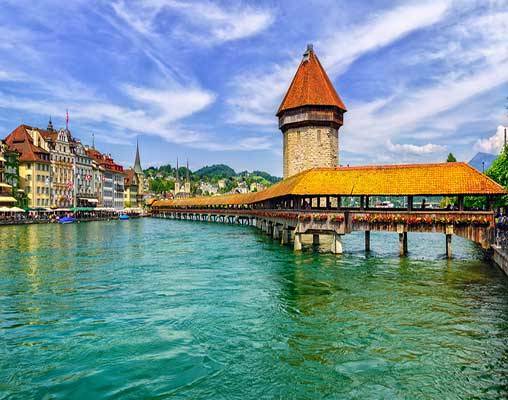 Your vacation begins with an overnight in Zürich, then on to Lucerne, the delightful medieval town with the famous wooden bridge. 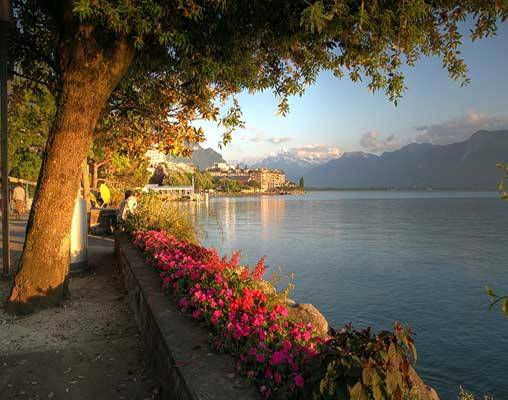 Travel through breathtaking mountain pastures and quaint villages like Interlaken and Zweisimmen before reaching Lausanne on Lake Geneva. Visit elegant Montreux and Zermatt at the foot of the legendary Matterhorn. Spend two nights in this beautiful car-free village, then enjoy an exciting ride on the Glacier Express from Zermatt to glitzy St. Moritz. 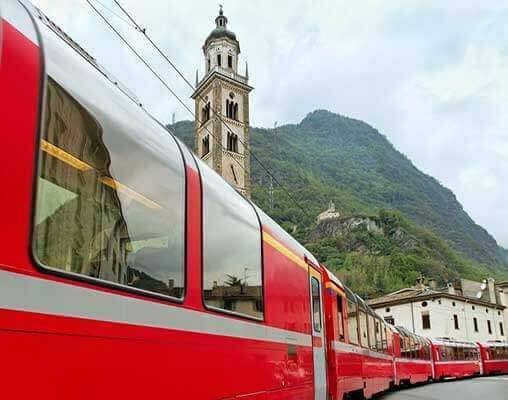 Travel through the pristine natural wonders of the Alps, the perfect prelude to your train ride on the Bernina Express. From St. Moritz, return to Zürich for the conclusion of your grand Swiss rail journey. 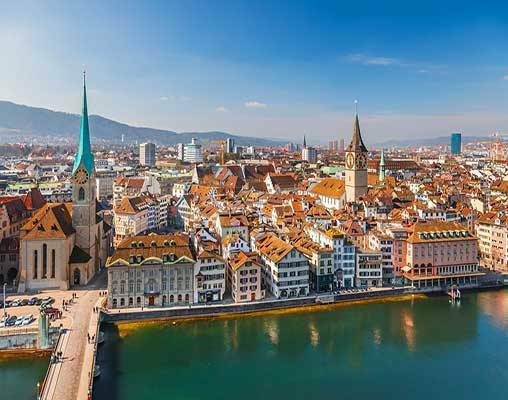 Hotel include the Novotel City West, Zurich, the Ibis Styles, Lucerne Area, the Alpha Palmiers, Lausanne, the Perren OR Best Western Butterfly, Zermatt, the Hotel Baeren, St. Moritz, and the NH Zurich Airport, Zurich. Board another new addition to the European train lines, and ride the sleek Lucerne-Interlaken Express to Interlaken, situated between Lake Thun and Lake Brienz. The highlight of this route is crossing the Brünig mountain pass at an altitude of 1,000m. Enjoy the panoramic views on this two-hour trek that passes by glistening lakes and crashing waterfalls. The air-conditioned cars are designed with the highest level of comfort in mind. This train winds its way through the Swiss Alps, travelling through 91 tunnels, and crossing 291 bridges. Relax and enjoy the view through the panoramic windows at your seat, or take in a drink at the bar. 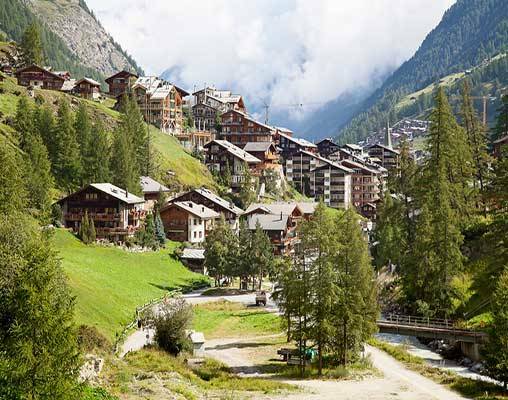 This express route takes you on the journey from Zermatt to St. Moritz in eight hours, but explores distinct types of scenery. You'll have views of snow-capped mountains, canyons, narrow valleys, and rushing waters. 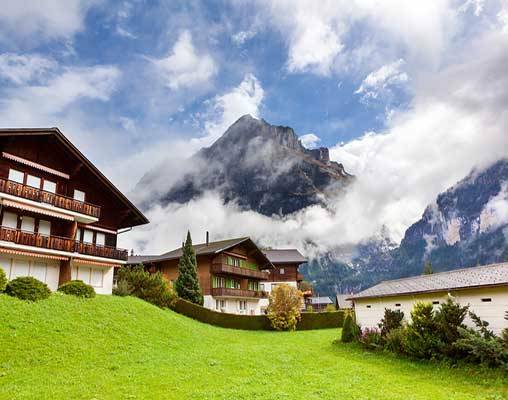 Click here to view testimonials for Scenic Switzerland by Train. Every detail was arranged in an outstanding manner. Enter your details below if you would like to be notified when 2020 dates and prices are available for Scenic Switzerland by Train. A valid passport is required for this tour.